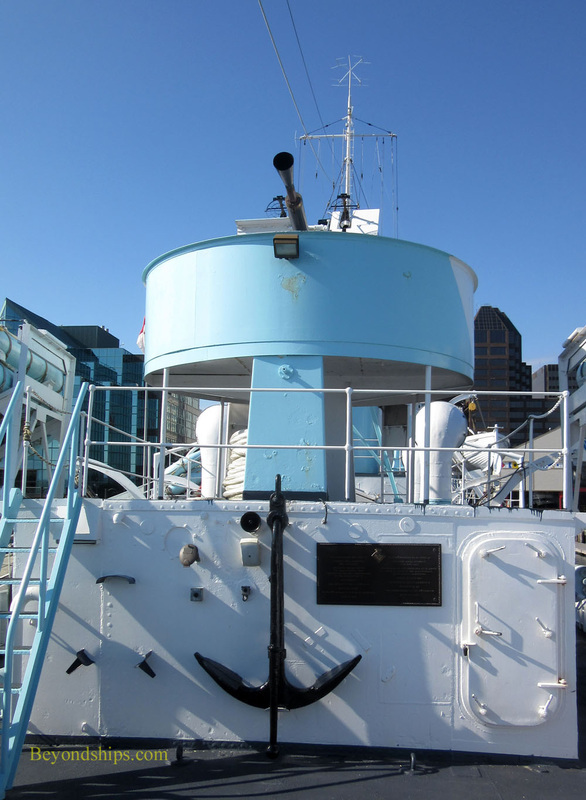 The Sackville is in the heart of downtown Halifax, conveniently berthed near the Maritime Museum of the Atlantic. It is within walking distance of the cruise port along the Harbourwalk boardwalk, which connects the cruise port to downtown. You can buy a ticket to visit the Sackvillle in the shed on the pier. 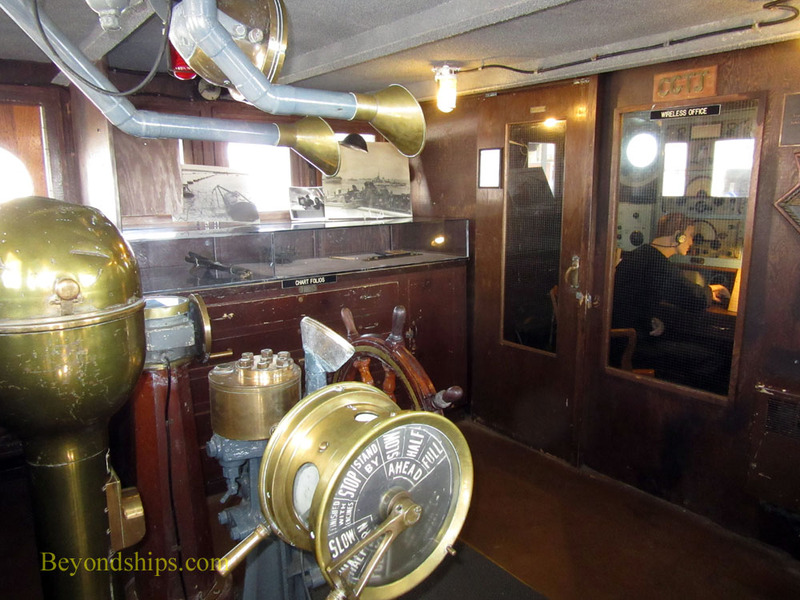 Then it is up the gangway to Sackville's main deck. There you will probably be received by a sailor on active duty with the Canadian Navy. The ship is the Canadian Naval Memorial and so the sailors lend a hand. There are also civilian volunteers. Exploring the Sackville is done by self-guided tour. At strategic points around the ship there are speaker boxes. Push the button and the speaker plays a commentary in either English or French. 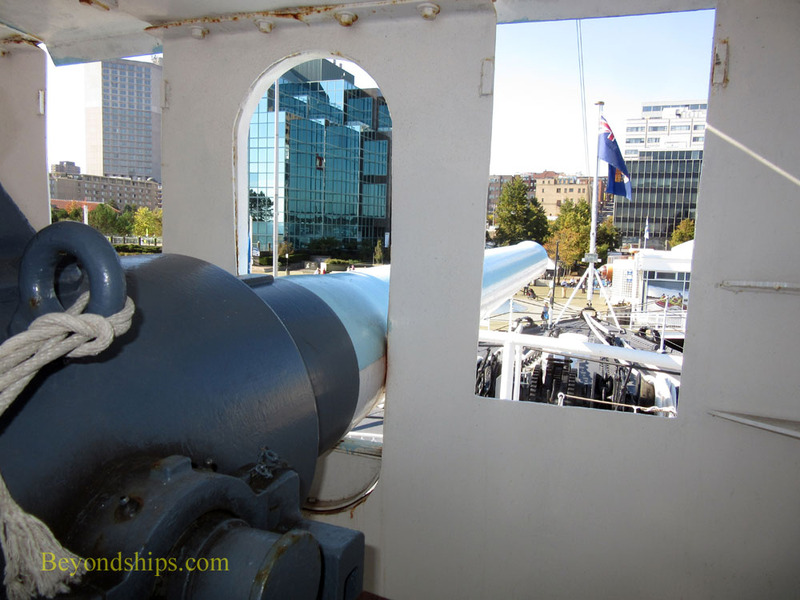 On the open decks, Sackville's armament catches most visitors' attention. Near the bow is a platform with a four inch gun mounted on it. This impressive cannon dates from World War I. At the time the corvettes were being built, the Allies were using any piece of military hardware that was available. Larger ships had priority for modern equipment. It is hard to see how a gun crew on a small ship pitching and rolling at sea could be expected to hit a target with an obsolete weapon and no moder guidance systems. One of the volunteers told me that although Sackville is credited with damaging a U-boat with its gun, the objective was to force any submarine encounter on the surface to submerge. This put the U-boat at a disadvantage because submarines could travel more quickly on the surface than when submerged and because it reduced visibility. All of this gave the convoy more of a chance to escape. Of course, the corvette could continue the battle even after the submarine submerged. Next to the gun platform is a box displaying an array of 24 projectiles. This is the Hedgehog system. Deployed in 1943, the Hedgehog would shoot its projectiles in an arch to a spot some 750 feet ahead of the corvette. If a projectile came into contact with a submarine, it would explode. Walking astern down either side of the ship, you encounter depth charge launchers that could shoot a 300 pound drum of explosives 150 feet to the side of the ship. 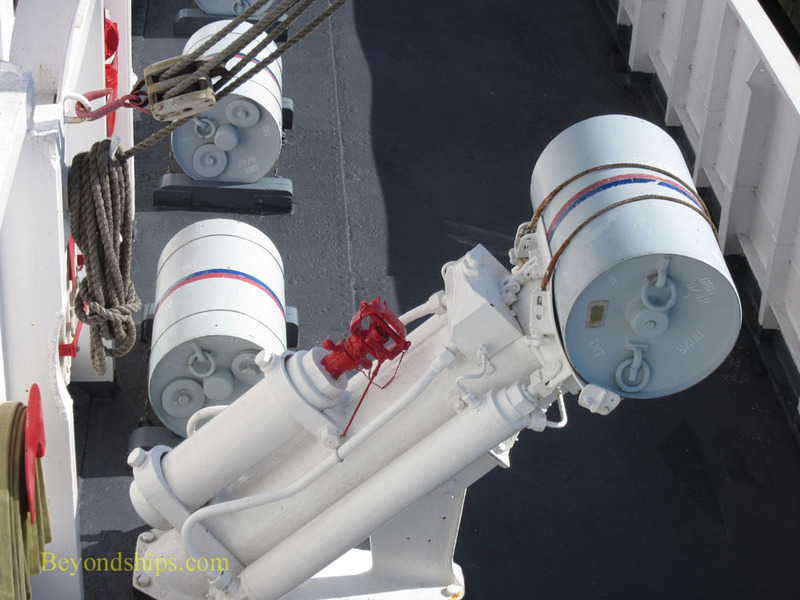 On the stern are racks of depth charges that could be released into the ship's wake. 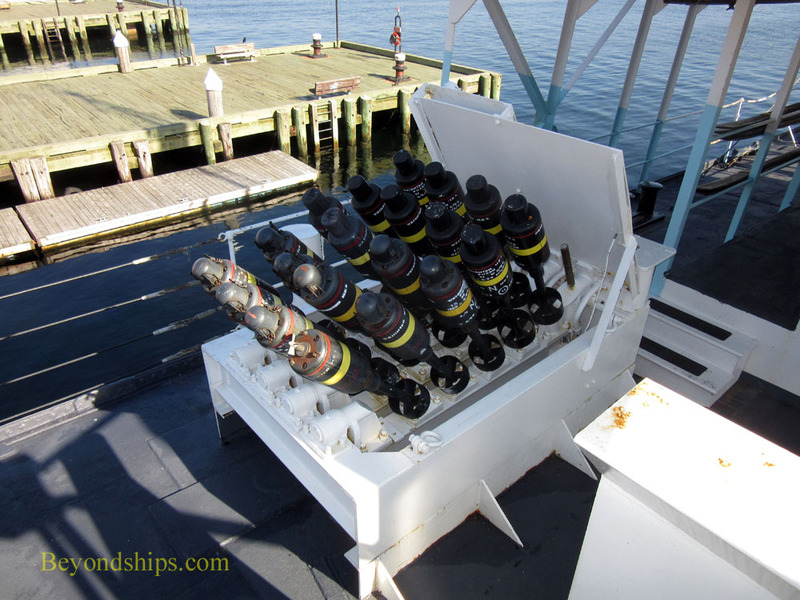 The depth charges would sink down and explode at a pre-determined depth. It was not necessary for a depth charge to actually hit the submarine as the shock wave from the explosion could cause considerable damage. The corvette made its attack using ASDIC equipment, an early form of sonor. This equipment was kept in the ship's wheelhouse located just behind the four inch gun. Also in the wheelhouse was the wheel used to steer the ship. Interestingly, the helmsman could not really see where the ship was going. Instead, he steered according to directions given to him from the bridge immediately above the wheelhouse. The bridge was open to the elements. On a warm, sunny day, it was probably quite pleasant on the bridge. However, in a storm, manning the bridge must have been an unenviable task with rain, wind and waves washing over the ship. To do so in a North Atlantic winter storm must have taken unbelievable courage and fotitude. 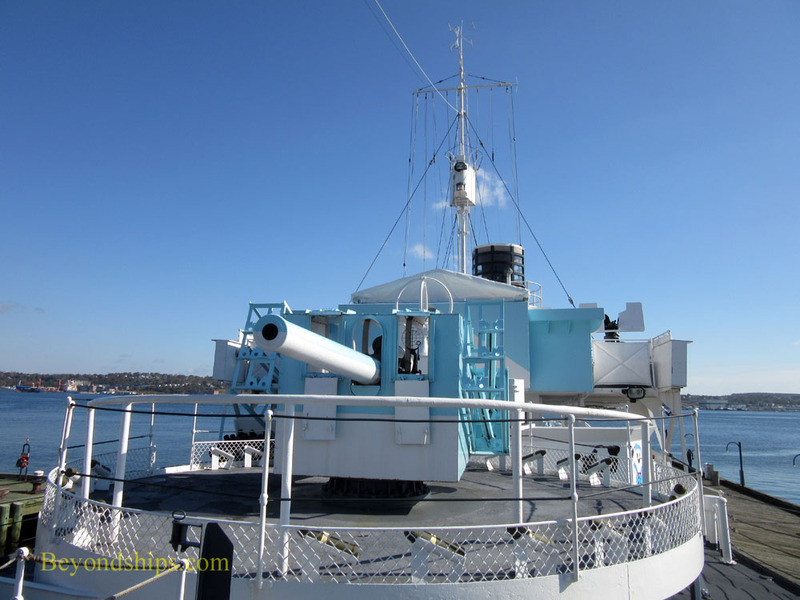 On either side of the bridge are 20 mm Oerlikon guns. These rapid fire guns could be used against surfaced submarines and against attacking aircraft. 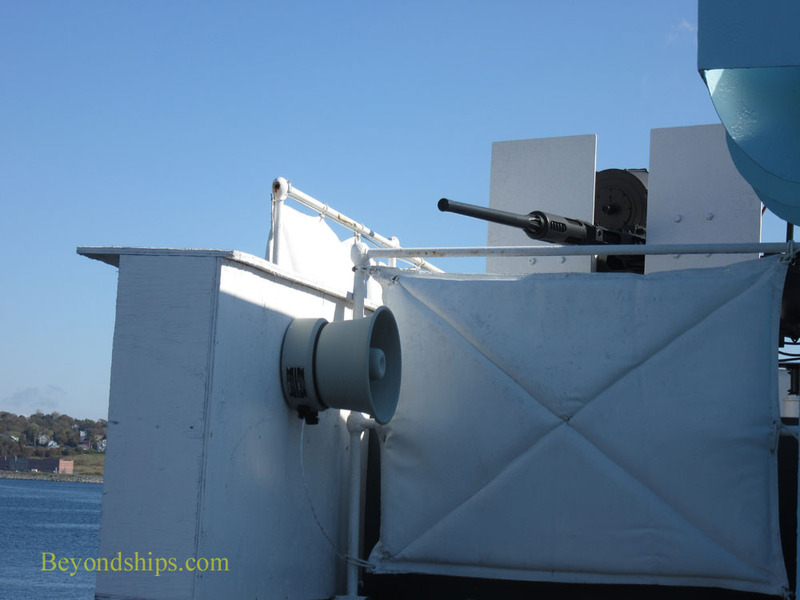 Aft of the funnel is another antiaircraft weapon - - a Mark VII “pom-pom” gun. It could rotate 360 degrees and fired 40mm shells in rapid succession. The vertical cylinder-shaped objects by the aft depth charge racks were another tool in Sackville's arsenal. These could release smoke thus allowing Sackville to hide a convoy behind a smoke screen. Visitors can see Sackville's engine room from a plaform above the engine. The steam engine used in Sackville was an old but proven technology. In fact, it was similar to the engines then used in locomotives and so railway engineers graviated towards this type of ship. Going forward, you come to the ship's living space. There you can see the captain's cabin, the small galley, the sick bay, the ship's store, and the area where the crew ate and slept. The most impressive space is the area at the very front of the ship. It is populated with a few manekins sitting at picnic style tables and lying in hammocks strung from the bulkheads. The space looks crowded even though the number of crew members represented here is far fewer than the number of sailors in the ship's actual company. Picture further the ship pitching through the Atlantic with water flowing down through the hatchways to the upper deck. These men endured hardship even leaving aisde the danger posed by the enemy. Thus, a visit to HMCS Sackville gives a glimpse into the human side of serving on a naval vessel. 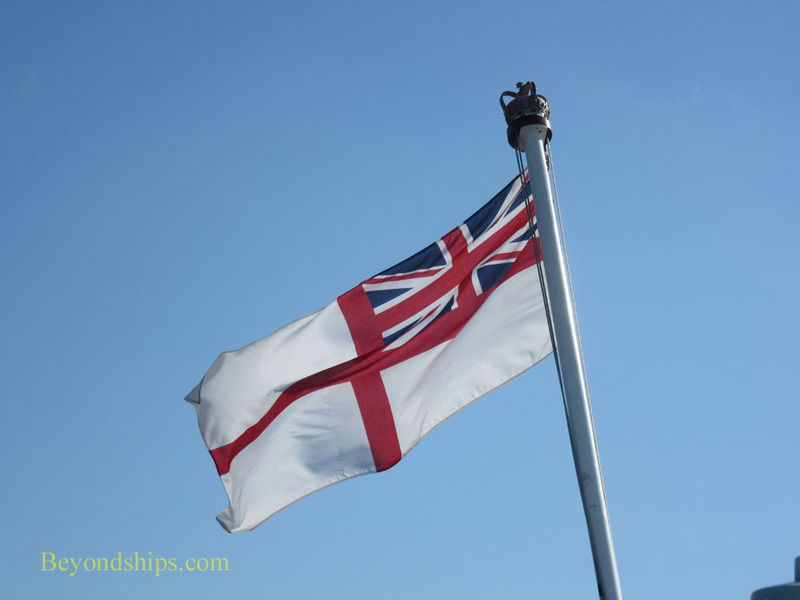 This is especially appropriate because Sackville is Canada's Naval Memorial - - a tribute to all who have served in Canada's Navy. Sackville is open to the public from May through the summer months and into the autumn. In the winter, she is berthed at the naval base in Halifax. Above and below: Sackville's main armament, a four inch gun. 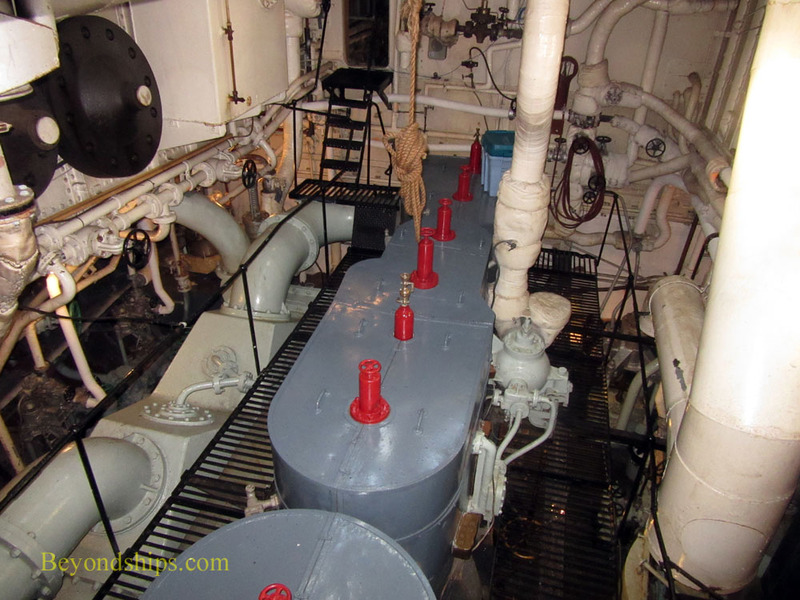 Below: Stern depth charge racks. The light blue objects on top of the racks were used to create a smoke screen. Above: The wheelhouse. The ASDIC (sonar) operator can be seen through the glass in the back. Below: A 20 mm gun. Above: The 40mm pom pom antiaircraft gun.